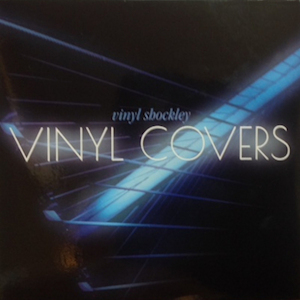 How about a CD of songs that Vinyl Shockley has snuck into their live shows over the last 15 years? Dearly loved chestnuts that reveal a little bit about time, place and context: from The Band to The Beatles, Dan Penn to Todd Rundgren and from Gerry Marsden to Billy Preston, Ed and the boys share some of their soul through a musical homage to their roots. Ladies and Gentlemen: Vinyl Covers! “Eddie Shockley don’t need to get no better so how come he do”? Fredman said employing all the munitions of his erudition. Vinyl Shockley’s best work yet! Ed, I’m riding down 2nd Avenue with tears running down my face listening to your CD, you monkey you. I’m going home to “claim what I already own”. “Wild Hair is a labor of love that treats listeners to an intriguing selection of songs ranging from slow, bluesy burns to some cool, groovin’ struts. Ed Shockley is singing better than ever, and this new CD presents a rich showcase of his distinctive voice. This is saucy, soulful music.”. Jim Rezac @ Dover Poste! To schedule an event, or for questions, concerns, or comments, contact Ed at edlyshocke@aol.com or (302) 562-9279.